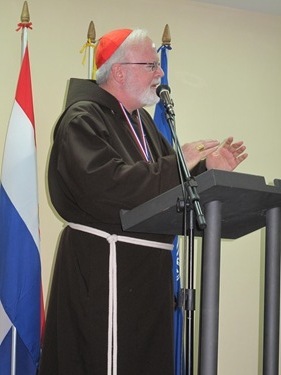 As I mentioned in my previous post, I spent part of last week on a visit to Paraguay in South America. 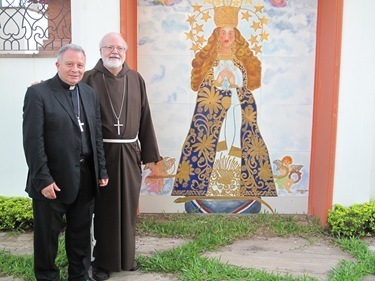 I was accompanied on the visit by Father Andrew Small, an Oblate of Mary Immaculate, who is the U.S Conference Catholic Bishops’ director of the Collection for the Church in Latin America. 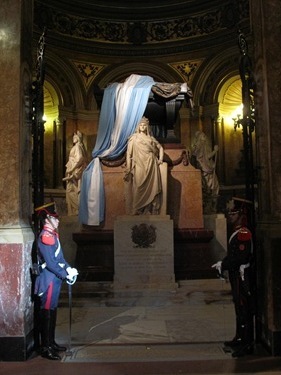 It is a long journey to Paraguay and I had to make a stop-over in Buenos Aires, Argentina. 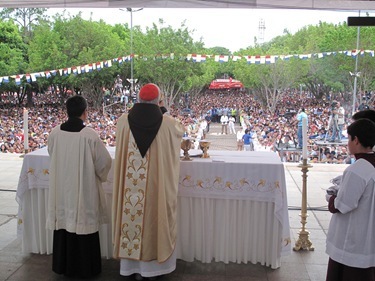 We arrived at Buenos Aires on Sunday morning and went to the Mass at the Catheral of San Martín. 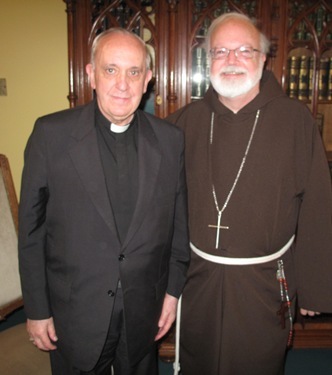 Afterwards we had a very lovely visit with Cardinal Jorge Bergoglio. 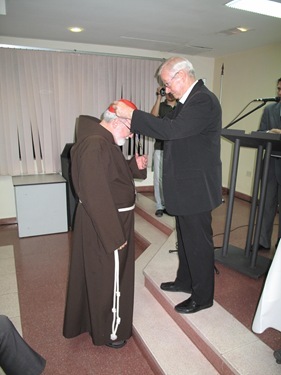 He gave me a very nice gift — a CD of the Missa Criolla. 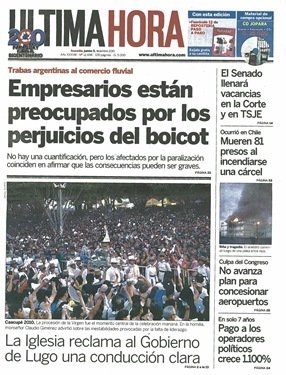 It is a very famous Argentine Mass, written between 1963 and 1964. 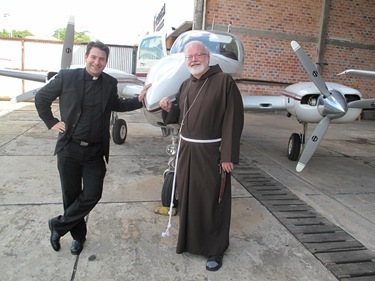 From Buenos Aires, we took the plane to Asunción, Paraguay where we spent the first night at the nunciature with Archbishop Eliseo Antonio Ariotti and his assistant, Msgr. Mislav Hodzlé, who is from Croatia. 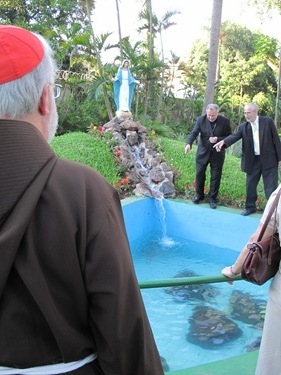 I knew Archbishop Ariotti when he was a priest because he worked in Washington at the nunciature there. 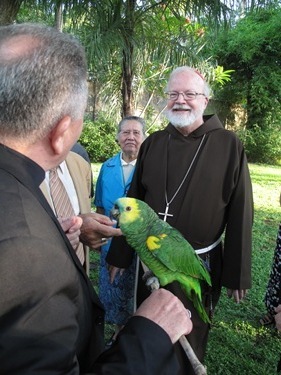 Since going to Paraguay, he has collected quite a menagerie at the nunciature, which I found very interesting. I told him he was like a modern St. Francis! 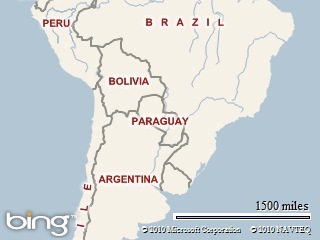 Many of the areas of Paraguay are very rural, particularly the area called the Chaco. 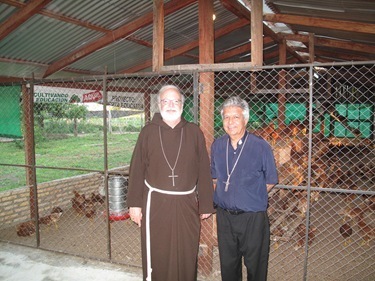 The archbishop visits these areas to say Mass and has been given a number of animals, many of which he has installed in the large patio of the nunciature. … not to mention parrots and other sundry creatures! 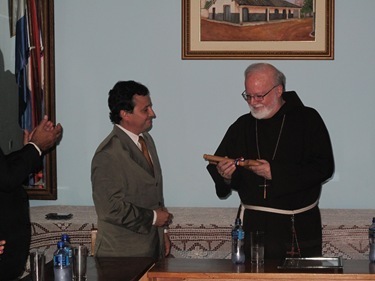 On Monday, I received an honorary doctorate from the Universidad Católica Nuestra Señora de la Asunción, which is celebrating its 50th anniversary. They conferred the doctorate on me and gave me a commemorative medallion of their anniversary. The university is a very strong educational institution in the country, having about 22,000 students. 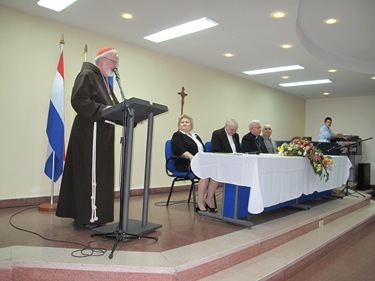 I gave a talk on the importance of Catholic education at the ceremony, such an important issue for Paraguay where 70 percent of the population is under age 25. 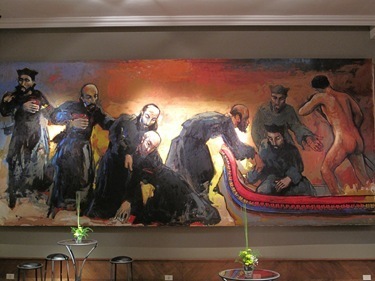 Afterwards, they took us to dinner at a hotel run by a couple very active in the Schoensatt Movement. 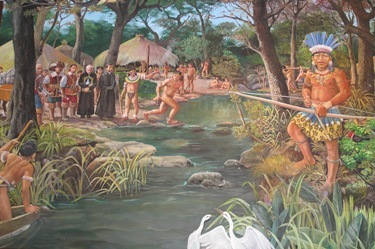 That hotel contains many artifacts and replicas of artifacts from the Jesuit Reductions, which were the Jesuit missions that were a very important part of the history of this country. 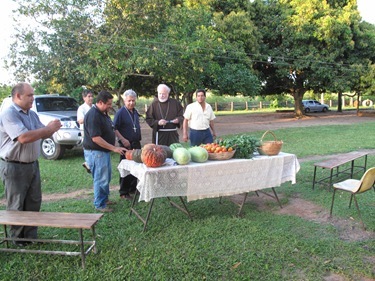 Just as the Franciscans founded the missions of California, the Jesuits started a series of missions in Paraguay. 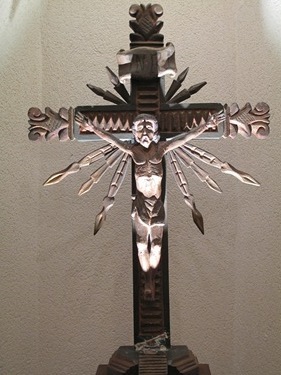 Some people may have seen the film “The Mission,” which is a story set in the time of the expulsion of the Jesuits. 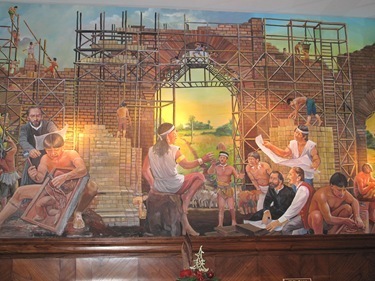 The Jesuit missions did an extraordinary job of evangelizing the Guaraní Indians and preserving their language and culture — so much so that Paraguay is the only country in Latin America where the entire population is truly bi-lingual. 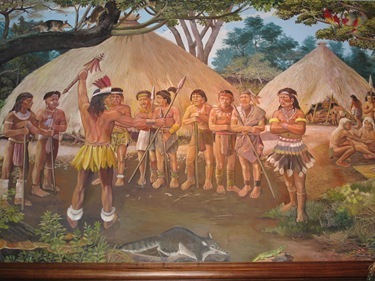 In other countries, those who are indigenous speak the indigenous languages, while the mestizo and white populations speak Spanish. 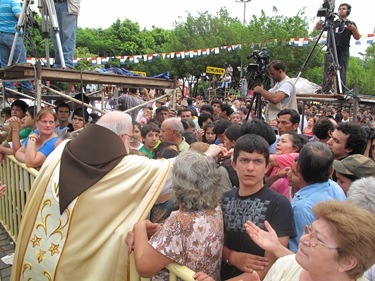 However, in Paraguay, everyone speaks both languages, regardless of their racial or ethnic background. 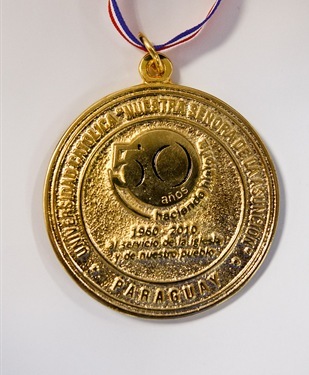 It’s a very strong sense of national identity for the Paraguayan people to have this Guaraní language. 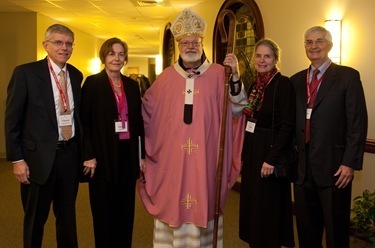 The next morning, Dec. 7, we had meetings with the bishops and different leaders. 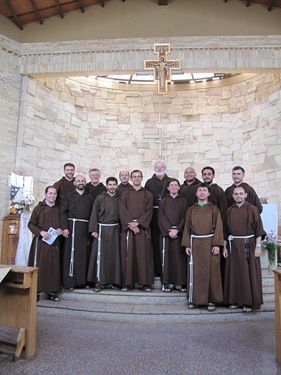 I also had a service at the local Capuchin church. 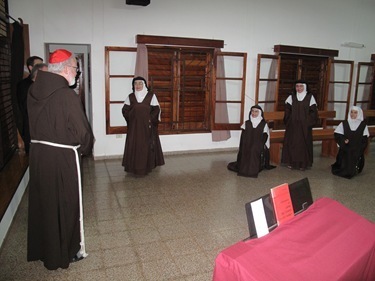 The Capuchins run two chapels in Asunción that are something like a smaller version of the Arch Street chapel that we have here in Boston with confessions, Masses and other services. 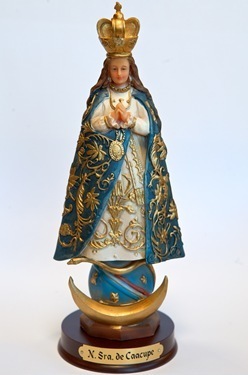 That evening we drove to , a nearby town which is home to the national shrine of Nuestra Señora de Caacupé, the patroness of Paraguay. 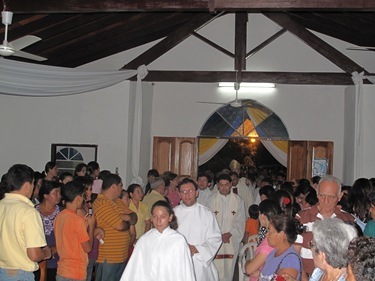 On the Feast of the Immaculate Conception, they have an immense national celebration which draws people from all over Paraguay and even neighboring countries. 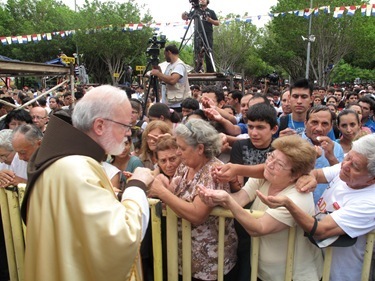 As we travelled toward the City of Caacupé, all along the highway you could see a column of people walking to the shrine. 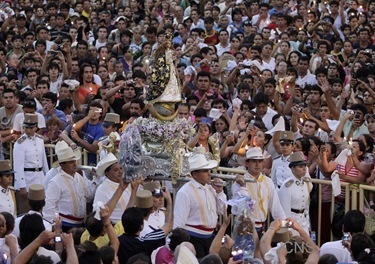 We are told almost 2 million people went to Caacupé for the celebrations. 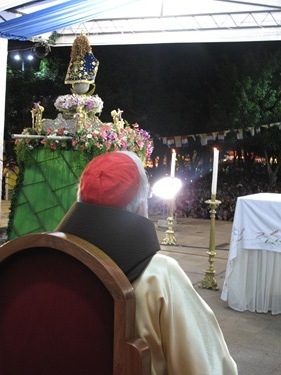 I presided and preached at the Mass that evening, an immense outdoor Mass that was broadcast on their national television network and was featured in many newspapers. At midnight they set off fireworks. 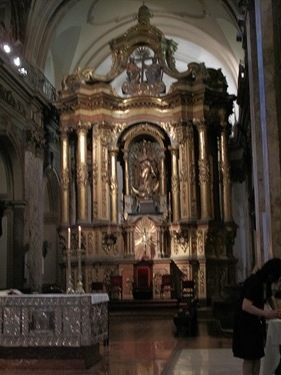 There was another Mass at 6:00 the next morning. They begin very early in the morning because the heat is just tremendous. It may be hard for us to fathom, here in Boston in December, but in the Southern Hemisphere it is the height of summer and the temperature approached 100 degrees during the day. 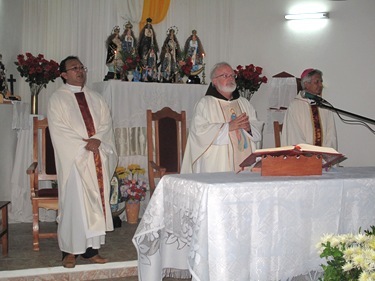 At the morning Mass, the Bishop of Caacupé gave the homily and then I was asked to give a reflection at the end of Mass. 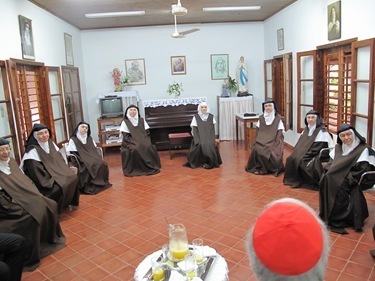 After the Mass, we spent some time with the bishops of Paraguay, then returned to Asunción before leaving for the city of San Pedro. 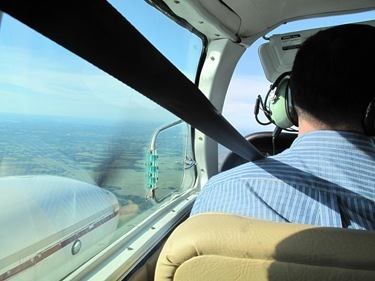 We went in a small plane because it would have been a six-hour drive on dirt roads. 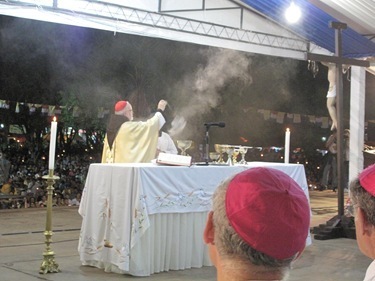 There, I had a third Mass for the feast for one of the communities there. 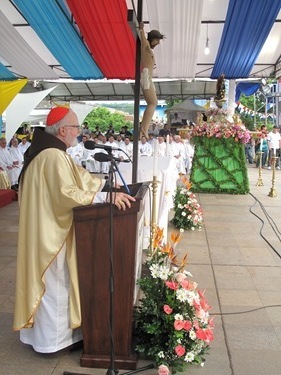 The bishop in San Pedro, Bishop Adalberto Martínez, is a close friend of mine. 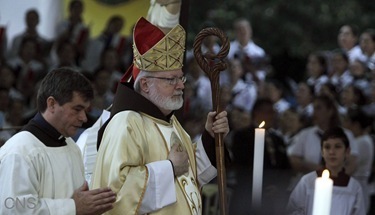 He had been a parishioner of mine in Washington and a priest of mine in the Virgin Islands. 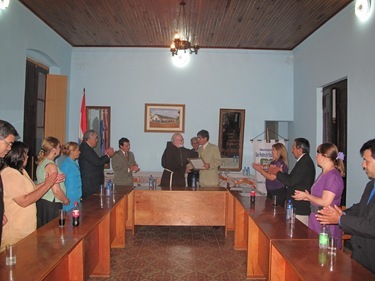 After the Mass, there was a ceremony in the town hall where the mayor presented me with a resolution declaring me to be a “distinguished visitor” and the key to the city. 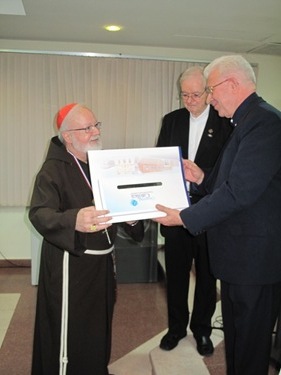 Part of the reason they did that is, that for the last several years, thanks to wonderful benefactors in Boston, we have been able to support a number of initiatives feeding poor families and thousands of children in that area. 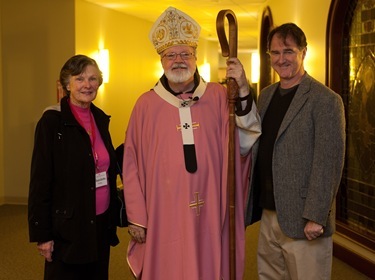 The town is very, very grateful for everything the Church of Boston is doing for them. 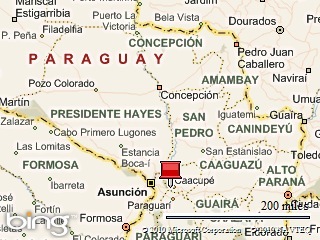 When we returned to Asunción, we had meetings with the American ambassador to Paraguay, Liliana Ayalde. 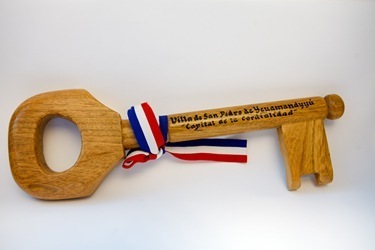 She has had a long career in international development, particularly in Latin America. 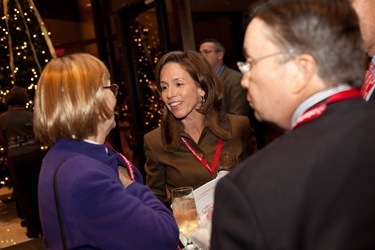 Before becoming the ambassador to Paraguay, she was the Mission Director for USAID in Colombia. 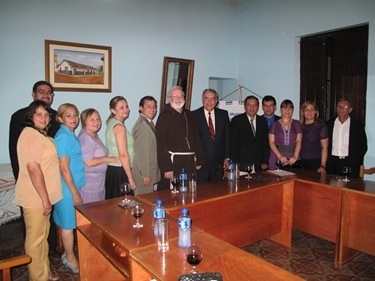 We had a very interesting meeting and she is very appreciative of the work of the Church there. 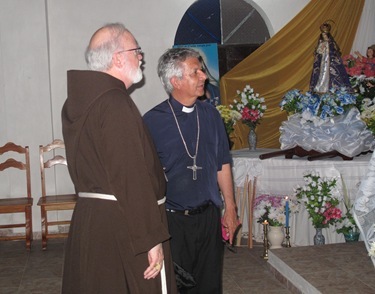 She told me about the extraordinary help that they receive from the National Guard in Massachusetts, and doctors and dentists who work in the rural areas of the Chaco. I thought it was quite interesting that there was yet another Massachusetts connection with this country that is so far away. 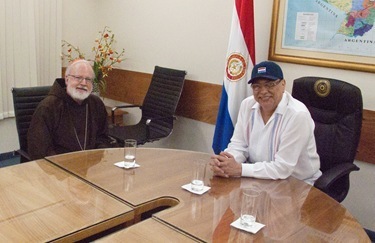 Also while I was in the country, the president of Paraguay, Fernando Lugo, invited me to meet with him. 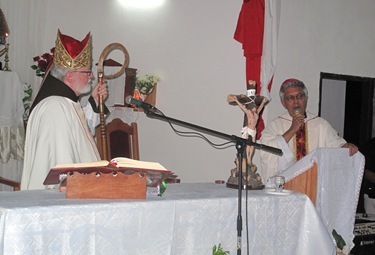 We carried the greetings of our bishops’ conference, and expressed our congratulations to him and to the people of Paraguay as they celebrate the bicentennial of the independence of their country. 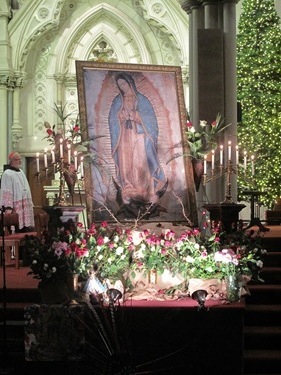 I returned to Boston on Friday, Dec. 10 — in time to be part of the Our Lady of Guadalupe celebration at the cathedral. 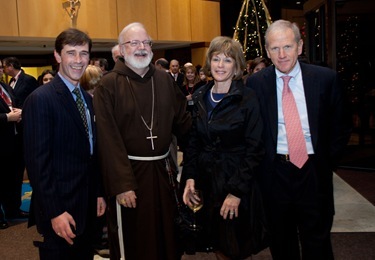 Friday evening, I attended the Boston Catholic Charities Winter Gala. 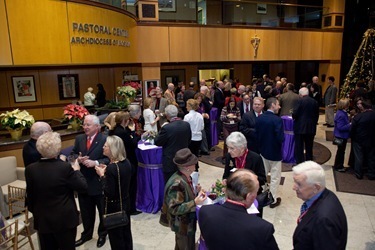 During the evening they honored Pat and Barbara Roche, who have been such stalwart supporters of Catholic Charities and many other Catholic causes. There was also a very touching witness talk by a woman who was at the St. Ambrose shelter sponsored by Catholic Charities, saying what a positive experience that was for her and her family. 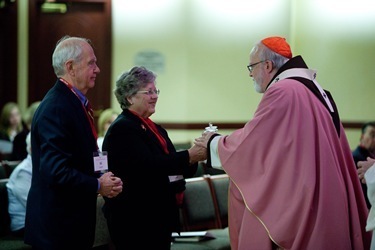 The new president of Catholic Charities, Debbie Rambo, and Vivian Soper, who directs Catholic Charities Boston, both do an extraordinary job there. 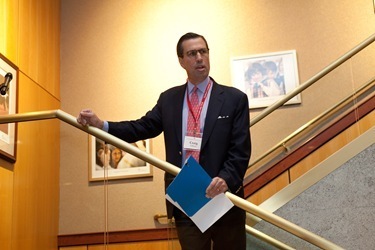 I also want to express my gratitude to Kevin Murphy, the new president of the board at Catholic Charities Boston, as well as all the people who diligently prepared for this wonderful celebration. 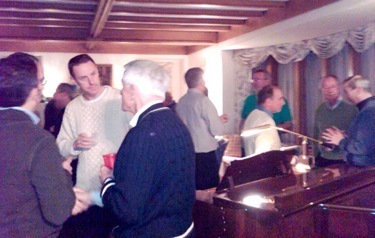 The dinner was a great success, and they had a wonderful turnout. 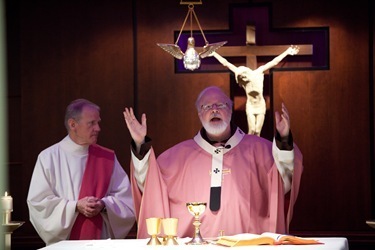 Saturday morning, I celebrated a Mass with survivors of clergy sexual abuse and their families. One of the key components of our outreach to survivors is to help promote spiritual healing. Barbara Thorp has done so much of this with her staff. Periodically, her office organizes a Mass or prayer service, inviting survivors and their families as part of their outreach. I consider this a very important part of their ministry. 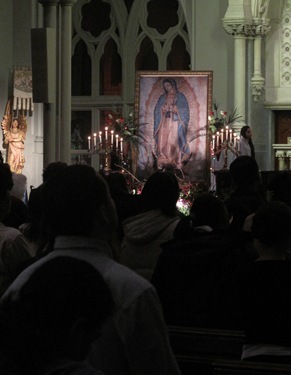 Also that day, I went to an Advent social at St. Catherine Parish in Norwood, hosted by Msgr. Cornelius McRae, the pastor there. 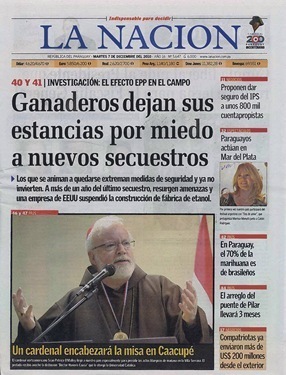 Each year, Msgr. 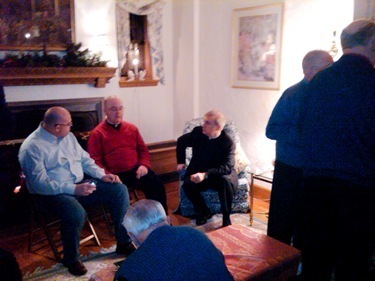 McRae very graciously sponsors an Advent gathering for the priests in the area. 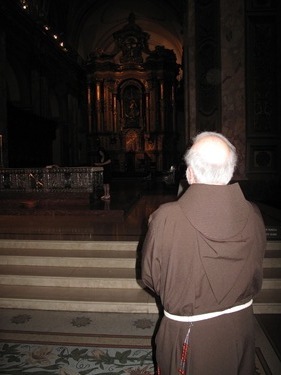 Besides a wonderful meal and the conversations, one of the highlights is always the piano playing of Father Paul Rouse. 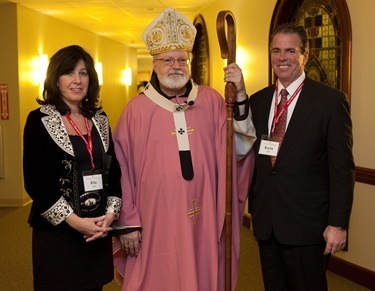 On Sunday I celebrated Mass at The Bethany Chapel for the Cardinal’s Leadership Circle of the archdiocese. 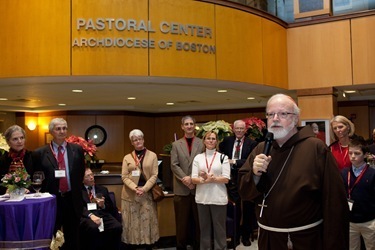 Following Mass we had a reception in the lobby of The Pastoral Center. 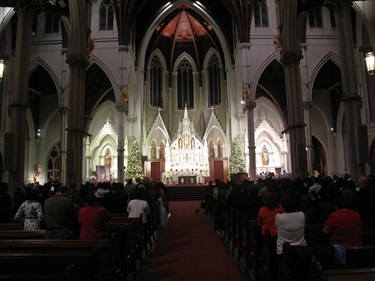 During the reception, Craig Gibson and Father Walter Waldron, the pastor of St. Patrick’s in Roxbury, addressed our guests. 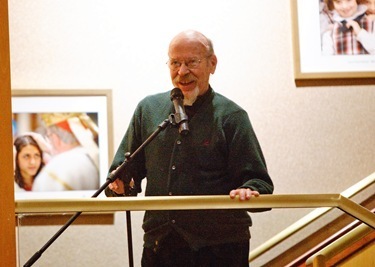 Craig shared the importance of supporting the work of the Church through Leadership Circle gifts. 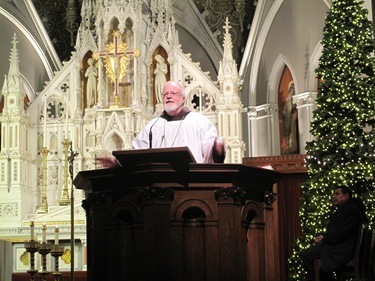 Father Waldron thanked the Leadership Circle members for their generosity, which allows the archdiocese to support him in all the wonderful things he does at St. Patrick’s. In my remarks, I expressed my appreciation to members of the Leadership Circle for their continued support. I also said how grateful I was for this chance to come together to give thanks for our blessings and welcome in the Advent season. 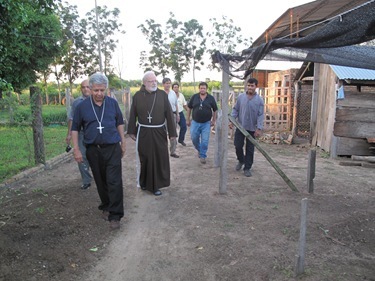 Las fotos de su visita a Caacupe son fantastica y feliz de haberle tenido entre el pueblo paraguayo. 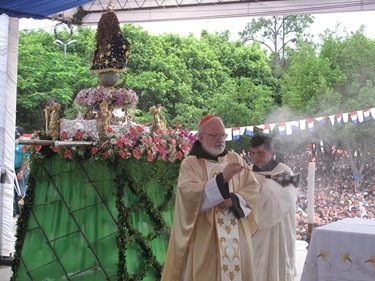 Apreciado Cardenal, con el recuerdo aun fresco de su visita a Paraguay, le hacemos llegar nuestros mejores deseos por la Navidad y que Dios le bendiga constantemente. 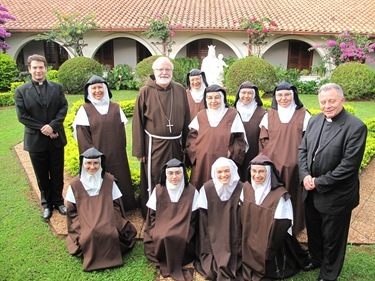 Con especial afecto, Eladio, Elizabeth, Nestor y Paola, Ximena, Ignacio y Grabriel, y Violeta, Franciso y Victoria,. 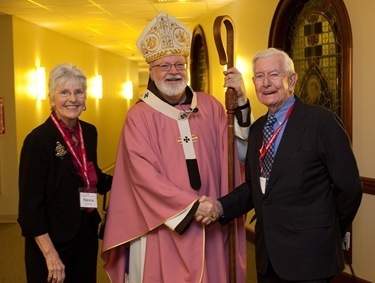 Thank Archbishop O’Malley for your work with abused Catholics and non Catholics. 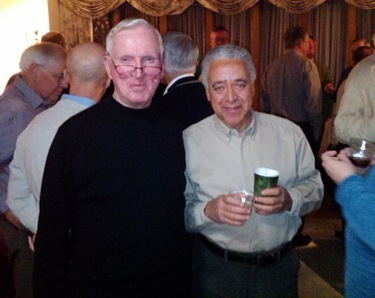 OUR paths crossed in DC at the House of Studies in the late 60’s and early 70’s. Fr. Bob was my director. My journey has led to unbelievable graces poured out from the heaven of healing. 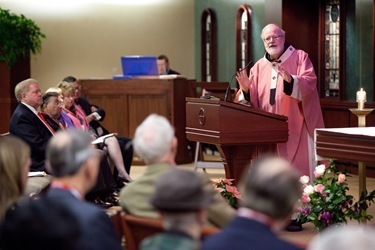 I was abused, and as a religious, a contemplative and married woman have been led to know the Eucharistic love within and without. I am a widow and am retired counselor, now a consultant for Pre Schools and am willing to see how I can continue to serve the church. Nothing is impossible with GOD who invites us to the sacrificial banquet daily. 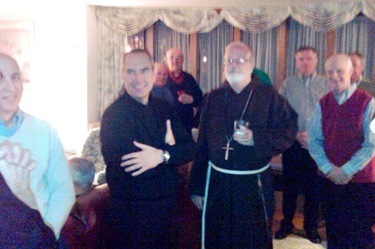 Last spring I met Fr. Ubald from Rwanda and participated in the Eucharistic healing service after Mass. 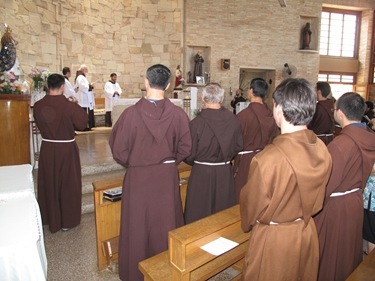 This past summer I was at a Trappist monastery and heard the humble statement “I was abused” from one of the priests presenting a talk. In a matter of a few moments of a private talk, I understood what the last five years of spiritual growth has been. 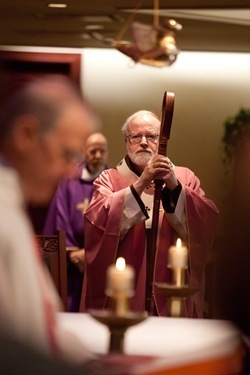 ..Spiritual healing though the Eucharist. I have learned how to go to God the Father through my feelings and surrender.